Unbeknownst to you or the casual knee replacement surgical candidate, the crazy bean counting economist -types are busy creating sophisticated models that estimate quality of life improvements based on functional performance scales to predict the cost of various health improvements. There term”QALY” is one which you should be familiar. The quality-adjusted life year or quality-adjusted life-year (QALY) is a measure of the value of health outcomes. It assumes that health is a function of length of life and quality of life, and combines these values into a single index number. If this all seems sort of confusing and abstract and makes your eyes roll back into you head, you are not alone. Of course, if you were paying for the procedure on your own, you could make that determination yourself but as a Medicare recipient, these questions are going to loom much much larger in the future. Just for fun, take a look at this article Impact of total knee replacement practice: cost effectiveness analysis of data from the Osteoarthritis Initiative, published in March 2017 as an example decision making rubrics pertaining to knee replacement surgery. The following three summary points were highlighted in the conclusion. Deliberations over whether you should have knee replacement surgery or not, ought to include economic considerations. Now some might say. Gosh, maybe I should rush out and have the surgery because it might not be available to someone my age in the near future. While that is true, what about future revisions? Can you be so sure that they will be provided? Seated where you are right now, that scenario might seem farfetched, but the baby boomer numbers heading into retirement years are staggering. Is all this surgery really sustainable over the long haul? Knee replacement surgery is typically reserved for those with end-stage knee arthritis, Kellgren/Lawrence grades 3 or 4 as observable on x-rays. This makes complete sense. Surgically altering your knee, an irreversible act, should be the last resort and only undertaken when all conservative alternatives have been exhausted. What if I told you that in a recent study of one orthopedic practice at least 19 people who had undergone knee replacement surgery in a one year period were found to have only grade 1-2 Kellgren/Lawrence scores. These patients had persistent knee pain issues that were unexplained at follow-up one year post operation. Clearly something is amiss and disturbing about these numbers. I fear that these are not isolated events and that the surge in knee replacement numbers reflect a sort of reckless abandon of the traditional criteria used to make determinations for appropriateness. Sure there are probably some unscrupulous surgeons amongst us, but I think it has more to do with what I call the “End of the Pipeline” crisis. Conventional medicine constitutes a medical pipeline that can be envisioned as a funnel, the larger opening is filled with the population of those in the initial stages of osteoarthritis. They work their way down the pipeline by talking to their primary doctor about the problem; trying some conventional treatments like physical therapy or maybe weight loss. When attempts to manage pain with over the counter medications fail and if pain continues to escalate, they move down the funnel again and access the orthopedic surgeon, who is likely to suggest cortisone shots. The next typical remedy would be to go on prescription pain medications. The demands of work and driving generally rule out his option for younger clients. And so, there they are hanging in limbo between opioids, knee replacement surgery and the prospect of a dim future struggling with pain and mobility issues. This is the end of the traditional medical pipeline and massive amounts of people are hitting this benchmark significantly earlier then previous generations. Compassionate medical personnel are stepping up to help these “end of the pipeline” osteoarthritis sufferers resolve this dilemma even if it means doing the replacement when they are only technically grade 1 or 2 Kellgren/Lawrence. End of the Pipeline: What Can You Do? Today many knees are undergoing unprecedented accelerated aging. What is going on? Only a few of our grandparents were severely hobbled by advanced arthritis. Joint pain and inflammation is one of the major causes of disability around the world, in fact 12% of the worlds population is said to suffer from the affliction. The joints are one of the most delicate structures in the human body and in many people; they take a lot of punishment. They must be rebuilt continuously to offset the constant wear and tear that occurs, especially on the weight-bearing joints of the body, like the knee. A catabolic state exists in the knee when of the body cannot rebuild joint cartilage fast enough to overcome the degenerative processes on those same tissues. The degenerative causes of osteoarthritis have long been assumed to be “wear and tear.” Too much activity, too much weight and the knee joint will wear out because of stress and pounding. This is in contrast to its’ evil twin rheumatoid arthritis caused by a severe inflammatory condition that is easily identified by certain blood tests. Current groundbreaking research however suggests that inflammation plays a much bigger role in osteoarthritis than previously thought. OA is a disorder of the joint as a whole, with inflammation driving many pathologic changes. The inflammation in OA is distinct from that in rheumatoid arthritis and other autoimmune diseases: it is chronic, comparatively low-grade, and mediated primarily by the innate immune system. For example, elevated serum levels of C-reactive protein, a marker of inflammation, are predictive of the development and progression of OA. Thus, current evidence suggests that targeting inflammation therapeutically has the potential to prevent or reduce multiple pathologic features of OA, and slow the progression of the disease. A low-grade inflammatory state may in fact be driving the degenerative changes of osteoarthritis much more than simple excess weight. Weight loss studies that show improved knee pain might need to be evaluated more critically to determine if anti-inflammatory diets might be responsible for some of the improved pain and functional indicators. This groundbreaking research yields fertile ground for the investigation of numerous targets of intervention to reduce whole body inflammation as a way to curb osteoarthritis. In a recent New York Times article, Personal Health columnist Jane Brody, herself a recipient of bilateral knee replacements, asked whether prospective patients were really giving lesser remedies a fair trial? Unfortunately, the article fails to mention any of the groundbreaking research into the connection between low-grade inflammation and osteoarthritis. 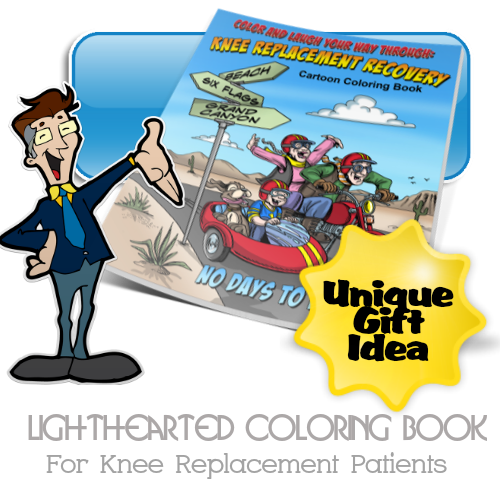 Summary: Ready For Knee Replacement Surgery? Here is a short list of action steps you can take to help answer this question. Take the Free Screening Test to determine if Lowering Inflammation Could Help Save Your Knee? Polkowski GG, Ruh EL, Barrack TN, Nunley RM, Barrack RL. Is Pain and Dissatisfaction After TKA Related to Early-grade Preoperative Osteoarthritis? Clinical Orthopaedics and Related Research. 2013;471(1):162-168. doi:10.1007/s11999-012-2465-6.